Phaneuf is undoubtebly a No. 1 defenceman. He was ranked as the league's 17th best defenceman by ESPN, which I think is a fairly accurate assessment. So he isn't an elite No. 1 defenceman, but rather and average one. If you say that Phaneuf is better suited as a No. 3 or No. 4 defenceman, then you're saying there are 60-90 better defencemen in the league. I really doubt that's true. Since the 2009-10 season, Phaneuf has scored 148 points, 24th best in the league. He has done so in a shutdown role, consistently seeing the opposition's top forwards. Over the past two seasons no defenceman has seen more difficult competition at even strength, and Phaneuf is also a major player short-handed, ranking in the top 10 in time on ice over the past two seasons. However, Phaneuf is not without his flaws, and committing $7 million a season to a flawed hockey player is troublesome. Although explained somewhat by his difficult usage, Phaneuf is one of the Leafs worst possession players, and the Leafs' inability to tilt the ice in their favour is the major reason why they have trouble winning. There is some evidence that Phaneuf's poor possession numbers can be explained in part by Randy Carlyle. Phaneuf posted possession numbers that looked similar to other top-pairing, No. 1 defencemen when he was in Calgary and under Ron Wilson, yet something has changed dramatically under Carlyle, primarily when the Leafs are tied or leading in games. The term of the contract is also concerning. The deal will end when Phaneuf is 36 and well into the decline phase of his career. Unfortunately, the term is a necessary evil of the deal. Without it the deal doesn't get done, as no agent would willingly let his client accept such a bellow market offer. Ultimately, it's a deal the Leafs had to make. Without Phaneuf there is no other defenceman in the system ready to take on his type of minutes. And the outlook on the free agent market is bleak. Andrei Markov would be a fine replacement, but he's 35; another option, Dan Boyle, is 37, and in all likelihood staying in San Jose. The other candidates would be all defence, no offence options, like Brooks Orpik (33) or Dan Girardi (29). And if they hit the market the cost savings compared to Phaneuf are probably only going to be a couple million. If anything, the Leafs should look at a guy like Orpik or Girardi to sign in addition to Phaneuf. Furthermore, when you adjust both for the cap ceiling, whether teams could circumvent said cap, and whether the player was a RFA or UFA, Phaneuf's cap hit is nowhere near one of the highest cap hits in the league. Salaries are increasing rapidly, and in a few years Phaneuf's deal will be dwarfed by others. Just wait until PK Subban signs his next deal, and if that deal is another bridge contract taking him to unrestricted free agency you can bet the negotiations will start at all of the money. Phaneuf probably left a little bit of money on the table to stay in Toronto too. No. 1 defencemen rarely reach free agency. Since the implementation of the salary cap, the only two have been Ryan Suter and Zdeno Chara, and it took huge deals to ink both. Chara's first deal with Boston took up 17% of the cap in its first year, and Suter's took up 10.7% (although it would be more like 14.2% if Minnesota wasn't able to circumvent the cap). Phaneuf isn't on Chara or Suter's level, so wouldn't get an insane deal that took up such a large percentage of the cap. But some team would pay him huge money. 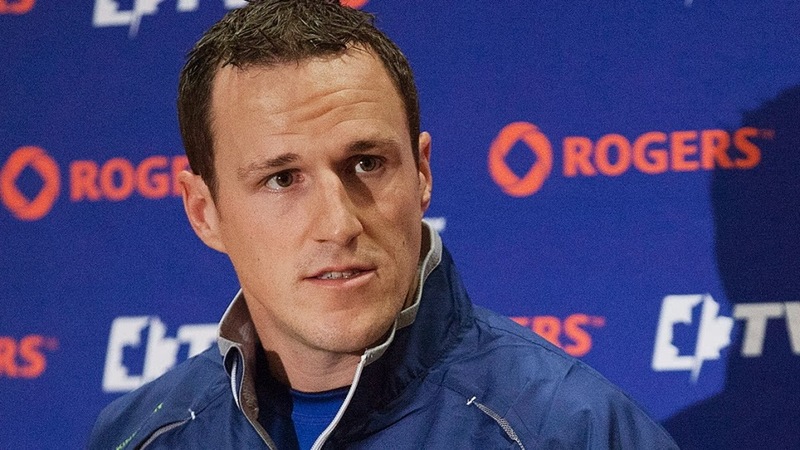 If Edmonton was willing to pay David Clarkson more than what he ended up getting from Toronto, you better believe the Oilers would be willing to give Phaneuf the moon to come home to Edmonton. And when you consider Phaneuf's deal as a percentage of the cap, his cap hit is actually less than it was when he signed his last deal (9.84% vs. 11.5%). So in a sense the Leafs are getting Phaneuf to take a pay cut. Phaneuf's deal isn't a steal for the Leafs by any means, and there are enough red flags to make it less than a slam dunk, but it's a reasonable deal to keep Toronto's No. 1 defeceman in the fold for the foreseeable future. The next step is for Dave Nonis to augment his blueline with another capable top-pairing defenceman and hope youngsters like Morgan Rielly, Jake Gardiner, and Stuart Percy continue their upward ascent.